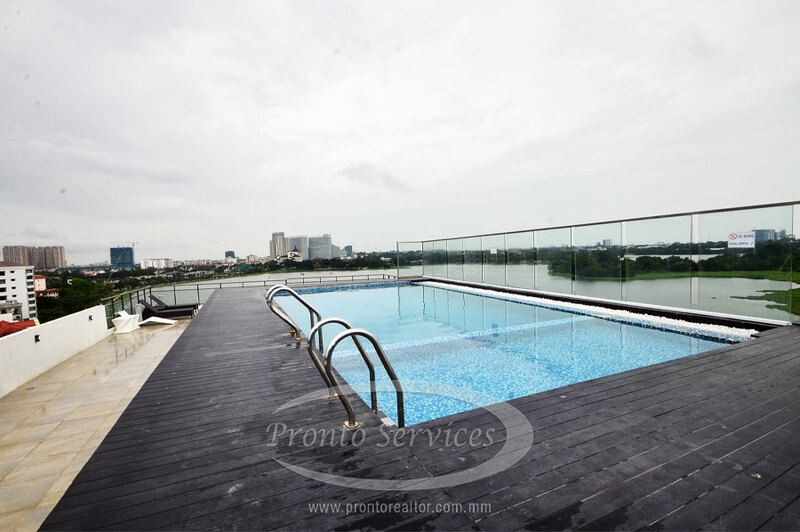 This 2-bedroom unit for rent at Inya Yeik Thar Street is an attractive showcase in a low rise residential building located beside Inya Lake area. A living area/entertainment center has clean lines in a palette of neutral beige and brown that give it a very elegant feel. 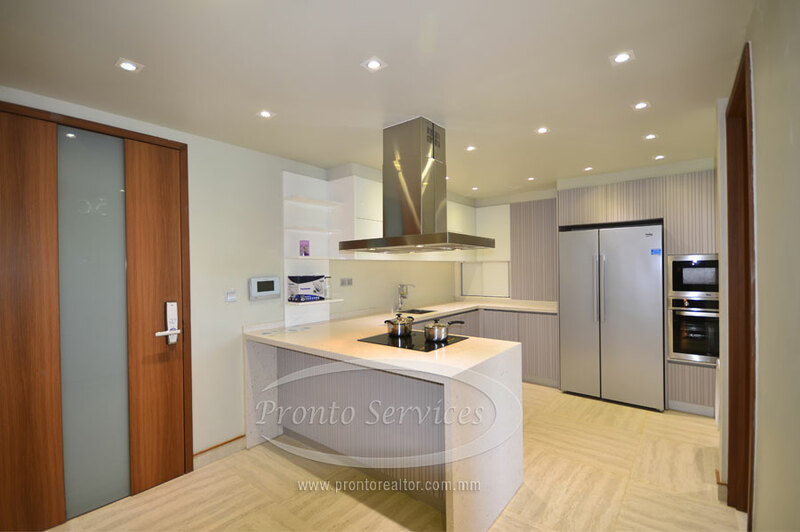 A complete-equipped modern kitchen is spacious and is adjacent to an equally contemporary dining area set for four. 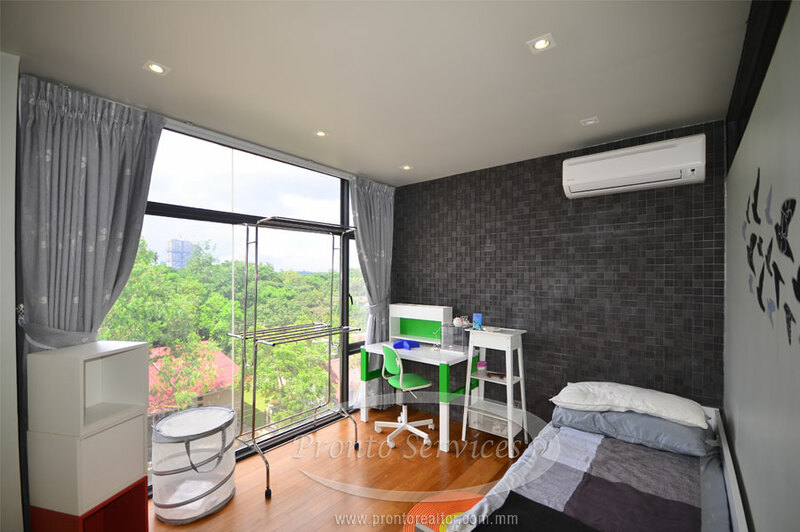 Fully-furnished and with two bedrooms and two bathrooms, it has airy effect through floor to ceiling windows, modern framed art, built-in cabinet, and a welcoming double bed. 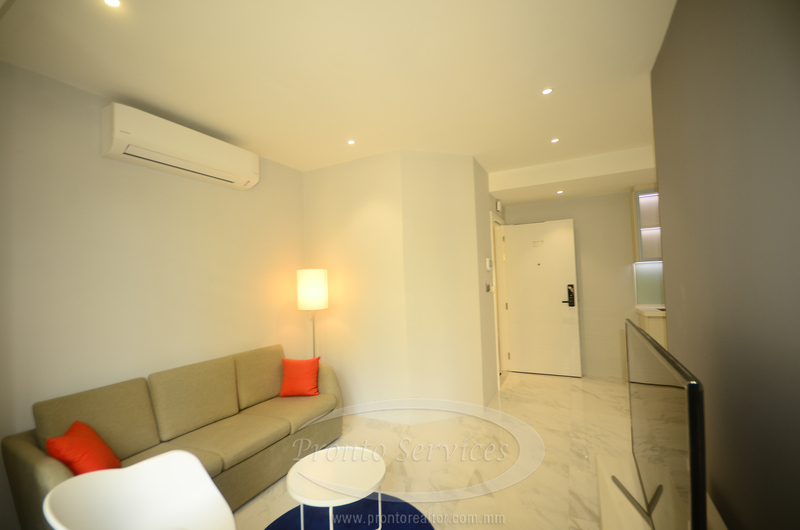 Recommended property for couple staying who keen for peaceful environment with full facilities. 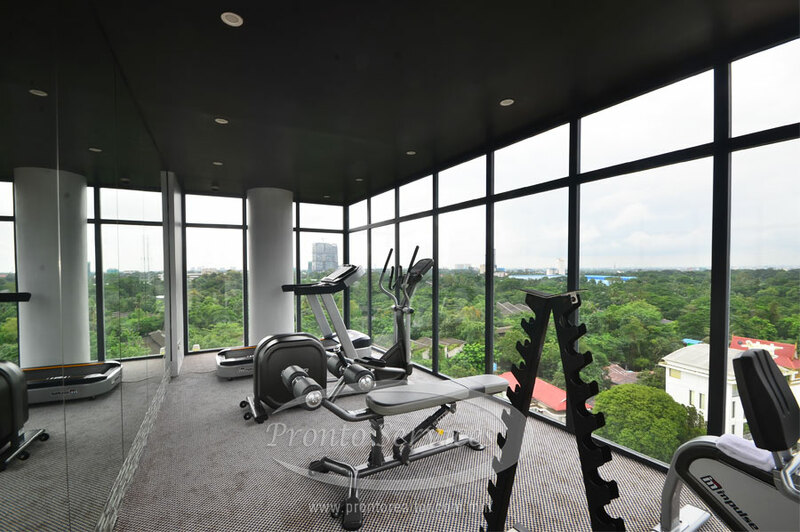 Facilities: Include a gym/fitness center and swimming pool is available in rooftop. Adequate parking for residents as well as 24-hour security is standard. 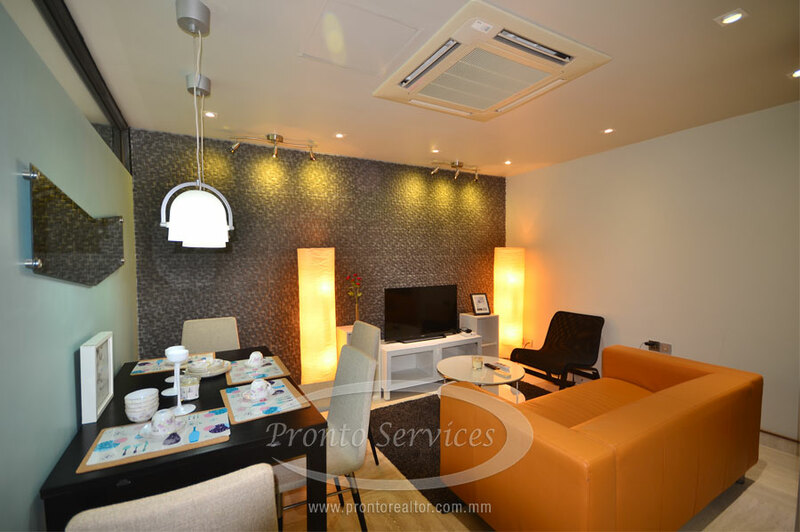 Location: Easily within reach to Kabaraye Pagoda Road conveniently just a few meters away to Myanmar Plaza. I'm interested in viewing about the property (#5424). Please contact me. Thanks.